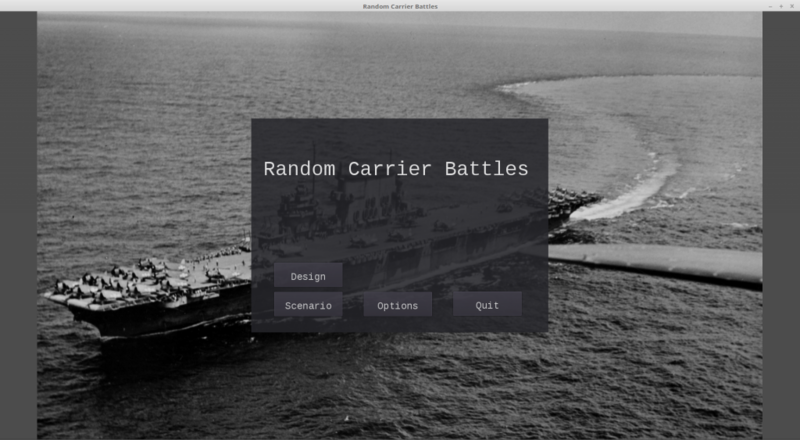 Random Carrier Battles is a computer wargame simulating aircraft carrier warfare at the operational level between the mid-1930s and the end of the Second World War. It features a user-friendly design system for carriers, escorts, and aircraft, along with a large library of predefined types for your convenience. 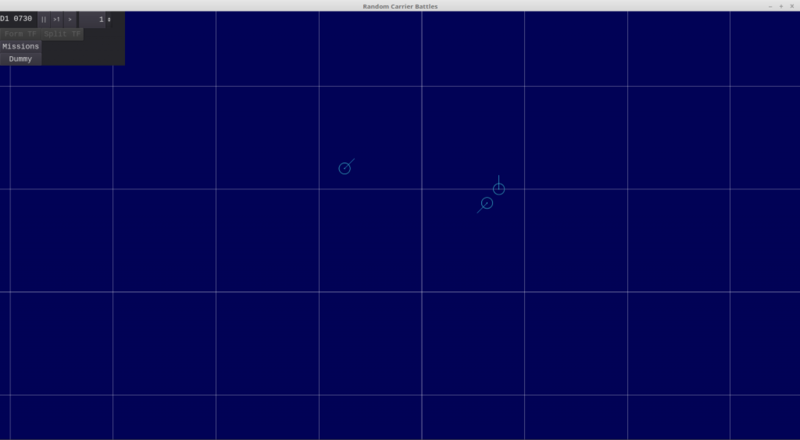 Planned features include a scenario editor and a random scenario generator, along with some premade scenarios covering major battles in the Second World War. If you listened to Episode 12 of The Crossbox Podcast, you’ll remember my goal for the design system: create something just complex enough to adequately capture the different schools of carrier design in the era in question. In scenarios, the player fills the role of the admiral in command, controlling the composition and disposition of the task force or task forces under his control, as well as the tempo and target of air operations. 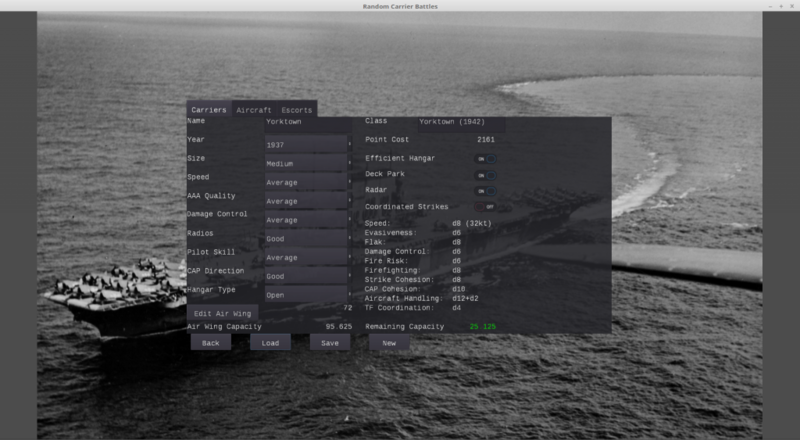 Hands-on admirals will be able to control aircraft handling down to the individual plane aboard their carriers; big-picture admirals will be able to delegate those to the computer. Both kinds of admiral will have plenty to sink their teeth into strategically: Random Carrier Battles will accurately model the uncertainties inherent in carrier warfare, including incorrect spotting reports and communications failures, incomplete information about enemies, and lack of direct control over aircraft. Obviously, this project is still in its infancy. I’ll be blogging about the development process here (at least until it’s far enough along for its own website), and sharing more screenshots and videos as things progress. Stay tuned for more information in the months to come! This entry was posted in All and tagged coding, gaming, random carrier battles on November 16, 2016 by Fishbreath.